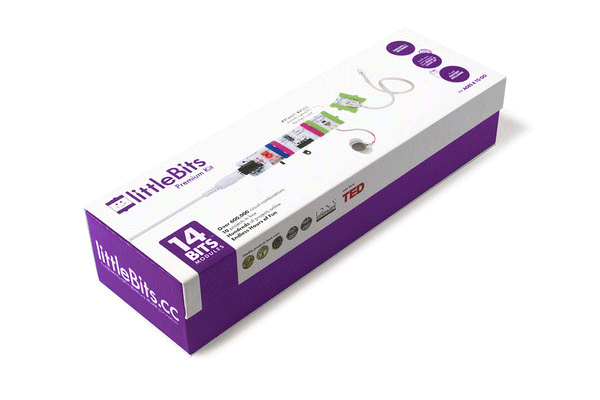 The littleBits Premium Kit was designed for those that crave creativity and includes everything you need to start designing and prototyping your own inventions, including a 9V battery, a custom made screwdriver for fine-tuning, a vibeSnap to attach your Vibration Motor and an attractive, re-usable case. This Kit also comes with a Project Booklet that provides easy-to-follow instructions for 10 amazing projects, including the Playful Pet and an update on the classic Piggy Bank. The Premium Kit is a sure-fire way to keep the creativity flowing!